Eye Magazine | Review | What makes designers tick? Among design associations, the Alliance Graphique International (AGI, founded in 1952) is a special case. Membership is by invitation only, and applications are judged during annual meetings. As a consequence, it has grown into a somewhat exclusive but well functioning network of top-notch graphic designers from around the world. The downside is that many observers tend to perceive AGI as somewhat elitist and self-centred. 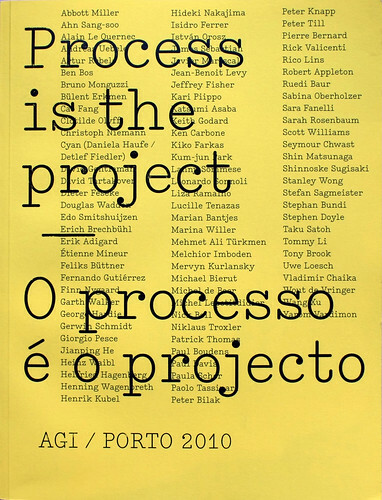 ‘Process is the Project’, this year’s AGI conference, held in Portugal, reflected the organisation’s concern to be part of the real world. Its organisers, Liza Ramalho and Artur Rebelo of Porto design studio R2, preceded the members-only congress with AGI Open, a one-day conference accessible to anyone willing to pay the modest entrance fee. Student fees were deliberately kept exceptionally low, in view of the financial difficulties many young Portuguese find themselves in – with a full house as a result. The location was the spectacular Casa da Musica designed by Rem Koolhaas, which made itself available at no cost for the day. An impressive cast included Korean designer Ahn Sang-soo; Swiss designers Peter Knapp and Bruno Monguzzi; Pierre Bernard from France; the current AGI president Paula Scher and two of her partners at Pentagram in New York, Abbott Miller and Michael Bierut; London-based emigres Henrik Kubel (A2) and Sara Fanelli; Estudio Mariscal from Barcelona; and two of the design heroes today’s students admire most: Marian Bantjes and Stefan Sagmeister. A dense and varied programme took the young audience on a unique trip across decades, generations and working methods, with the additional benefit that most of the speakers actually stuck to the theme, ‘Process is the Project’, allowing their audience a peek behind the scenes and a glimpse of things that may never appear in magazines or coffee-table books. As a counterpoint to lectures and the following day’s workshops at the Casa da Musica, AGI Open also offered an exhibition, ‘Mapping the Process’, curated by Ramalho and Rebelo with architect Andre Tavares, in the charming Palacete Pinto Leite, a former music school. 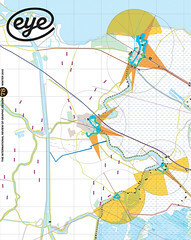 Cover of catalogue Process is the Project, which reproduces the ‘maps of their working processes’ that AGI members were asked to make for the event. The catalogue, Process is the Project, reproduces the 100 or so works by AGI members that were specially made for the show. The brief was to create ‘a map of their working process’ – which is, as Paula Scher notes in her introduction to the book, like asking for the impossible. Poster projects on a given theme often have a perfunctory feel about them, but many of the works here emanate the kind of fun, passion, confusion and craziness that the organisers doubtlessly hoped for. The impossible has seldom been dealt with in a more lucid and witty way. What makes the exhibition and companion book special is, of course, the quality and range of the people involved. While agi was once a gathering of Modernistically-inclined white European men, its membership now includes people from six continents and encompasses virtually all the current views on graphic design, typography and illustration. Members’ ages now range from approximately late twenties to nineties. 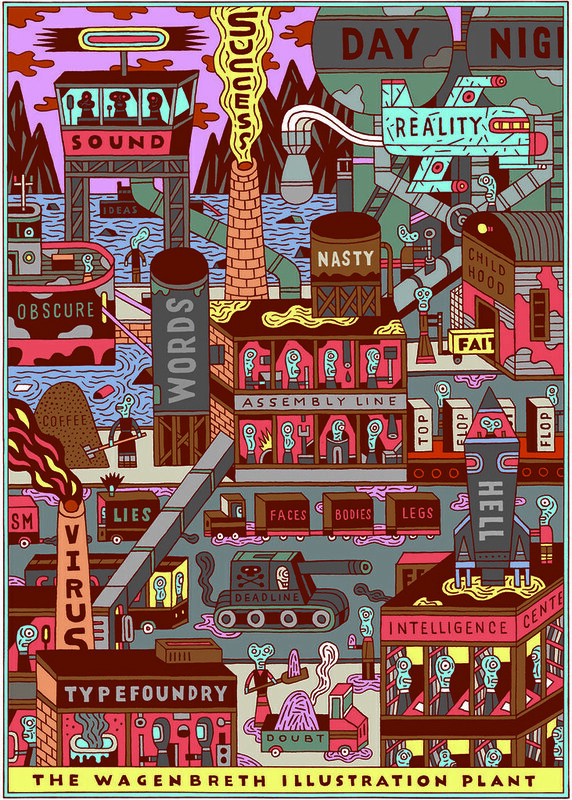 All of this is reflected in this collection of mental maps (and schemes, collages, cartoons, diagrams) that is astonishing and at times puzzling in its variety of answers to the question: How do you do it? An introspective project like this will always have an element of narcissism. But ‘Mapping the Process’ and its catalogue contain enough wit, insight and sheer virtuosity to complement that and reach beyond the strictly personal. Hoping not to sound pompous, I think that within a few years or a few decades, the catalogue will offer invaluable insight into what made four generations of designers tick in the early 21st century.